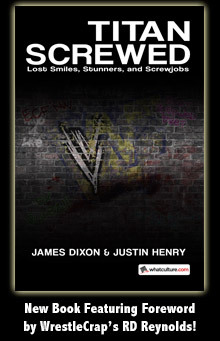 Category Archive for "Books" | WrestleCrap – The Very Worst of Pro Wrestling! Buy ’em and help the site! Winners of the FREE Copies of The Death of WCW Audio Book Announced! The Death of WCW: 10th Anniversary Edition is available now in Hardback, Paperback and Amazon Kindle!